I'm not usually one to make a meal that doesn't provide ample leftovers for lunches and future meals (unless it's seafood - I usually plan on those meals lasting just one meal). However, we'd gotten some torta rolls, so I figured I'd switch it up and make something more fun! 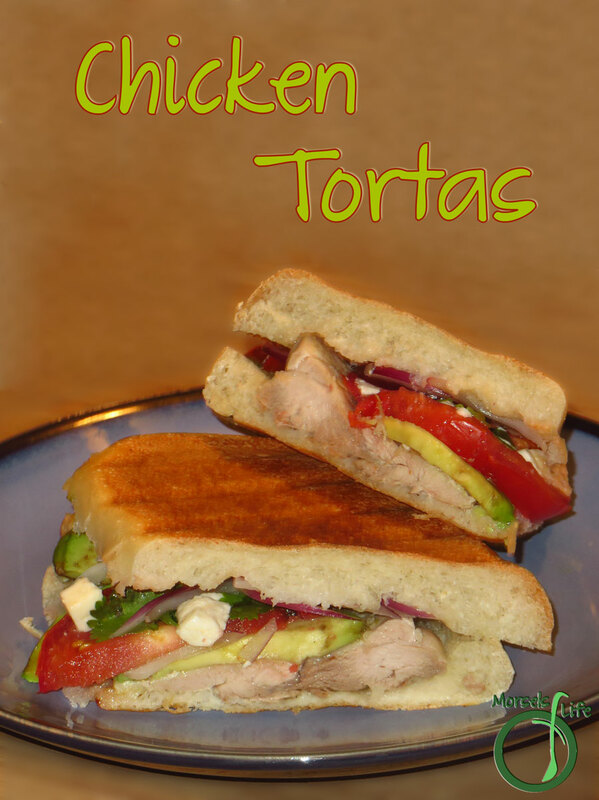 Tortas are like Mexican paninis. But don't worry if you don't have a panini press. I don't either! Instead, I used a cast iron skillet to press the tortas. For the filling, I used chicken thighs since I prefer them. You could also use chicken breasts. Maybe use a bit more avocado in that case. 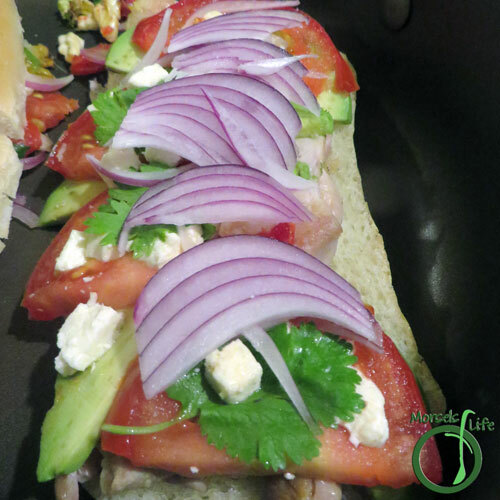 :) Then I topped the chicken with creamy avoado, juicy tomato, savory queso fresco, red onion, and a bit of cilantro. Slather some Sour Cream Lime Dressing on top, then put the torta top on, press with a heavy pot (cast iron or a pan weighted with water also work well), and you're just about ready to gobble! 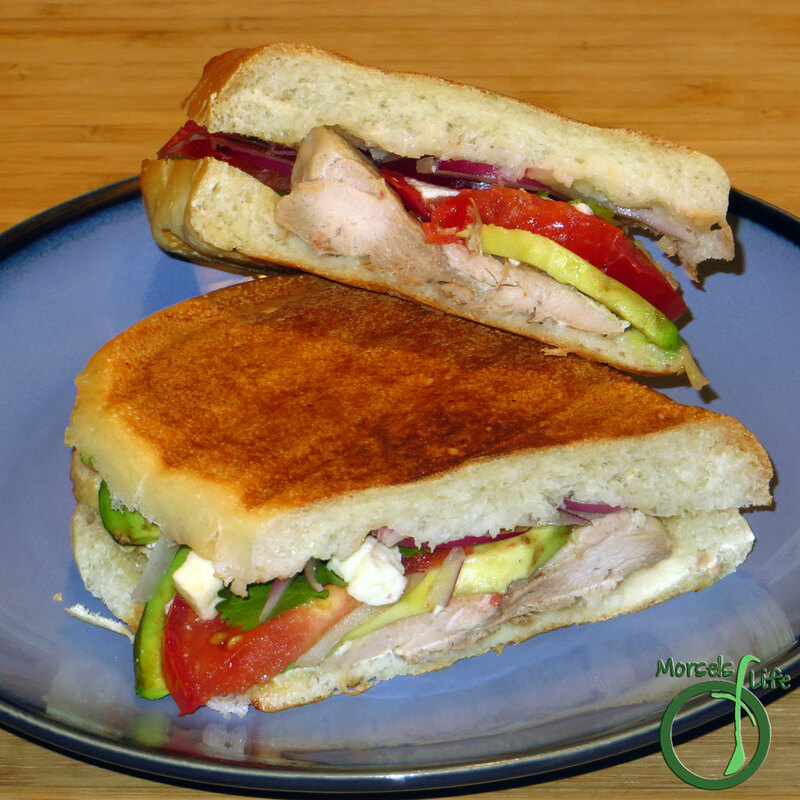 What are some of your favorite torta fillings? 2. 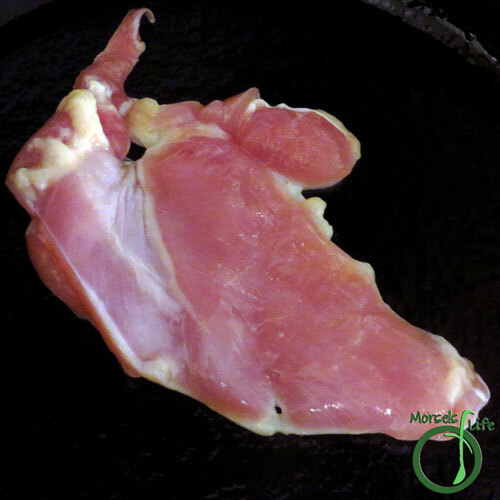 Cook chicken in a pan for approximately 5 minutes on each side, until slightly browned and cooked through. 3. 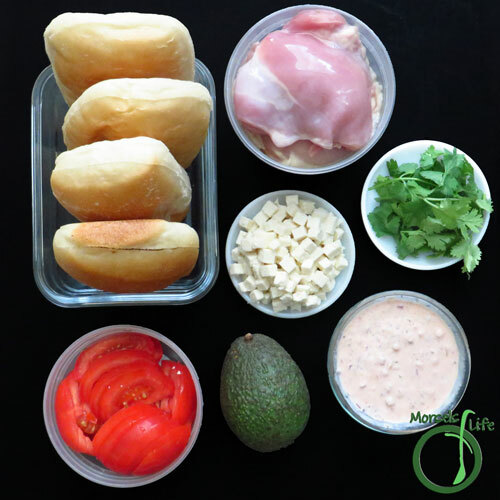 Place chicken, avocado, red onion, tomatoes, queso fresco, and cilantro on the bottom half of a torta roll. 4. Top with some Sour Cream Lime Dressing and torta top, then transfer to a pan with a bit of oil. 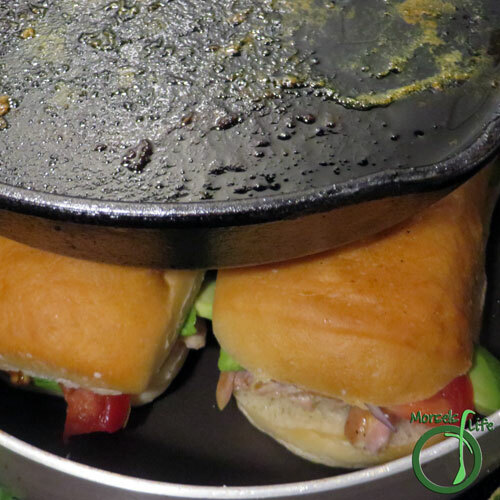 Press the tortas with a heavy pot until toasted. I used the same cast iron skillet I used to cook the chicken. You could also use a pot weighted with water if you don't have a heavy pot. Yummy! 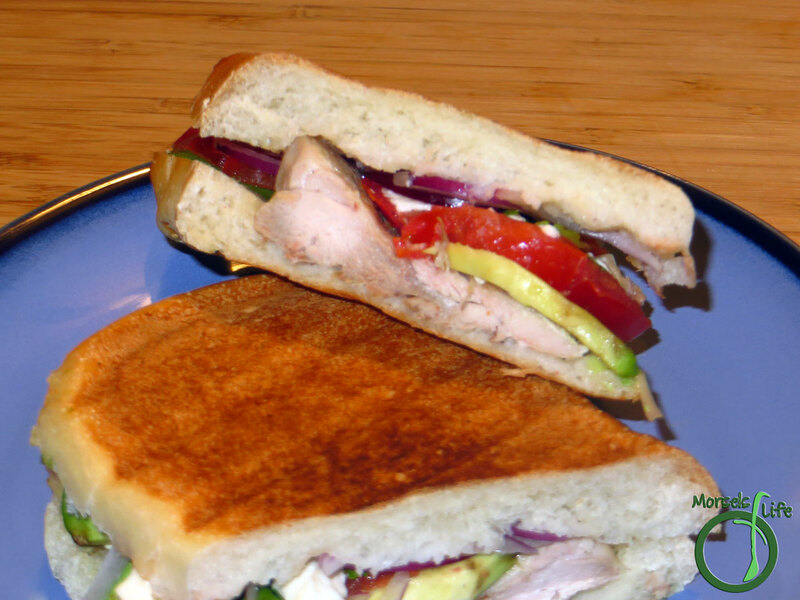 I love avocado on my sandwiches and the bread looks so toasty and good! Love that crusty bread. :) The avocado really made it so much yummier too! Yum! These look awesome. And the lime dressing sounds like the perfect pairing. Thanks for sharing at Inspiration Thursday! Indeed! We really liked the little burst of flavor the lime dressing added. :) Hope you enjoy!